Richmond, BC, Canada (March 11, 2014) Clients all over the world ask for FlowRider by name, craving the experience of a surfer lifestyle. WhiteWater takes pride in understanding the consumer market to create the latest innovations end-users truly want. By acquiring the FlowRider product line, WhiteWater is ready to share the perfect wave with the world. WhiteWater is excited to announce the acquisition of WaveLoch’s innovative, award winning line of products including FlowRider, FlowBarrel, FlowCurl, Flow House, Wave-in-a Box, and WaveOz. 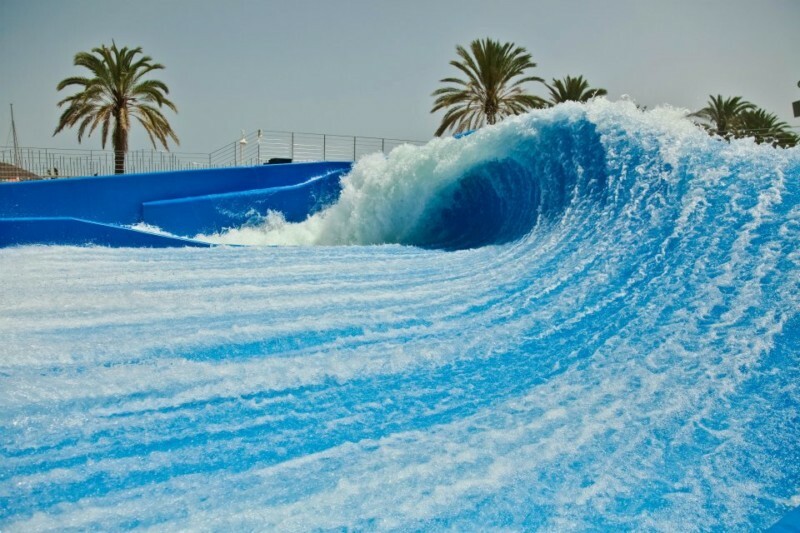 Previously, WhiteWater had been the exclusive worldwide licensee of WaveLoch’s FlowRider business. This marks the third acquisition in the past two years for WhiteWater. Wave Loch founder, Tom Lochtefeld will continue to market the WaveHouse and work on his surf pool business. Aquatic Development Group will continue to be the exclusive marketer and manufacturer of the FlowRider product line in the U.S. and eastern Canadian market. In making the announcement, WhiteWater President & CEO Geoff Chutter noted, “We are not only adding another ORIGINAL product to the WhiteWater portfolio but also adding the creative talents of another ORIGINAL waterpark pioneer to the family”. WhiteWater’s goal is not just about creating a collection of great products, but forming an invaluable team of people with amazing talent and skills. “We are tremendously excited about the momentum this addition brings to WhiteWater’s innovative group of companies”, said WhiteWater’s Marshall Myrman who will head the FlowRider and Waves business unit.